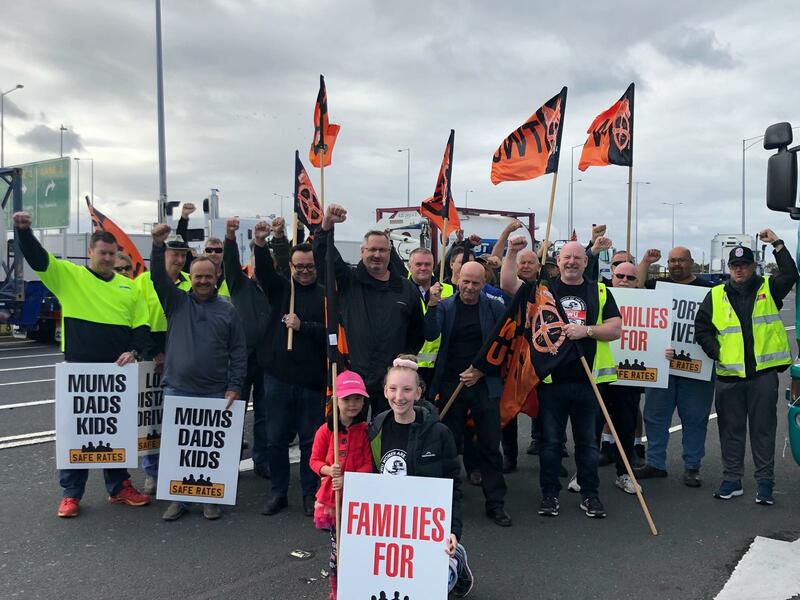 Road transport workers and their supporters were loud and proud in Melbourne this morning as they formed a convoy for better pay, 30-day payment terms, training for new drivers and safer roads. 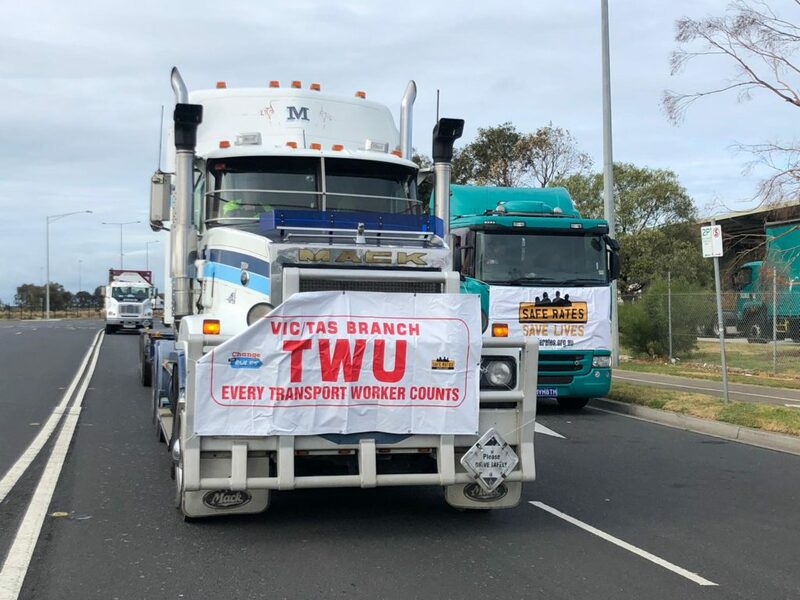 TWU convoys were also held in Sydney, Adelaide, Perth and Brisbane. 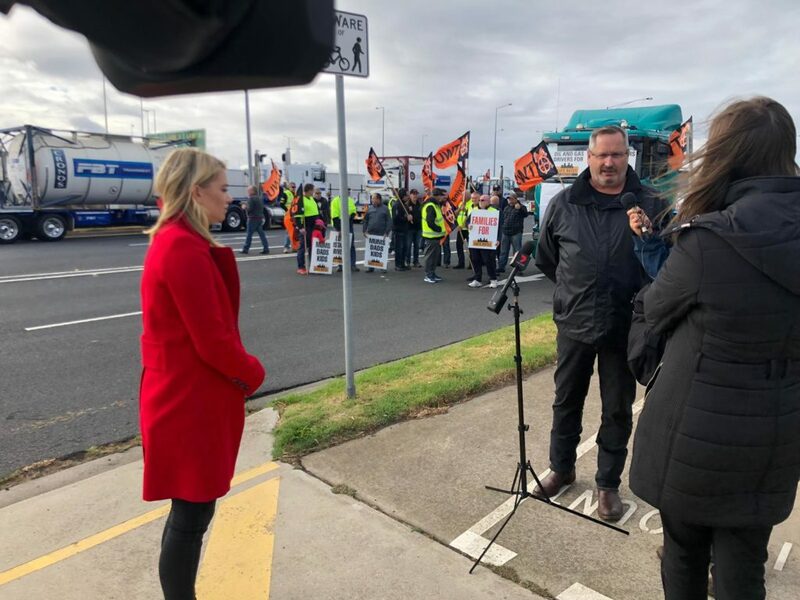 sent a clear message to the Federal Government and companies at the top of supply chains that the industry was demanding an end to needless road deaths and trauma, wage theft, insolvencies and job losses in the trucking industry. 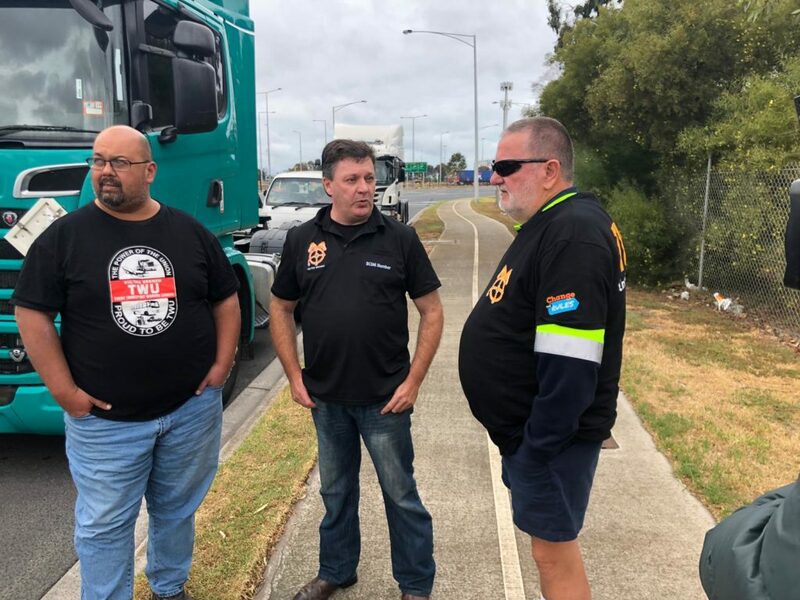 Tragically, 534 people have been killed in accidents involving heavy vehicles since the Road Safety Tribunal was torn down by the Turnbull Government in April 2016. 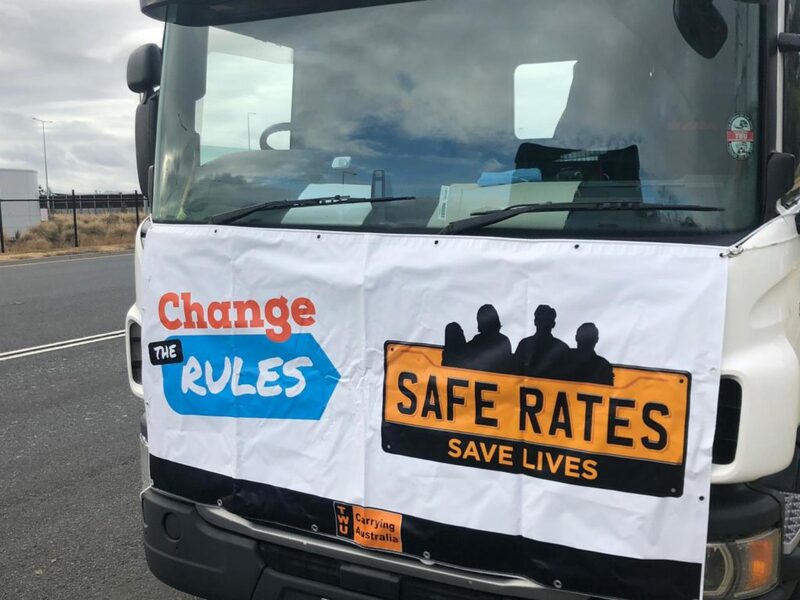 We must to fight to Change the Government at next month’s election and then fight to #ChangeTheRules because we cannot achieve #SafeRates under the Federal Coalition’s current bargaining rules. 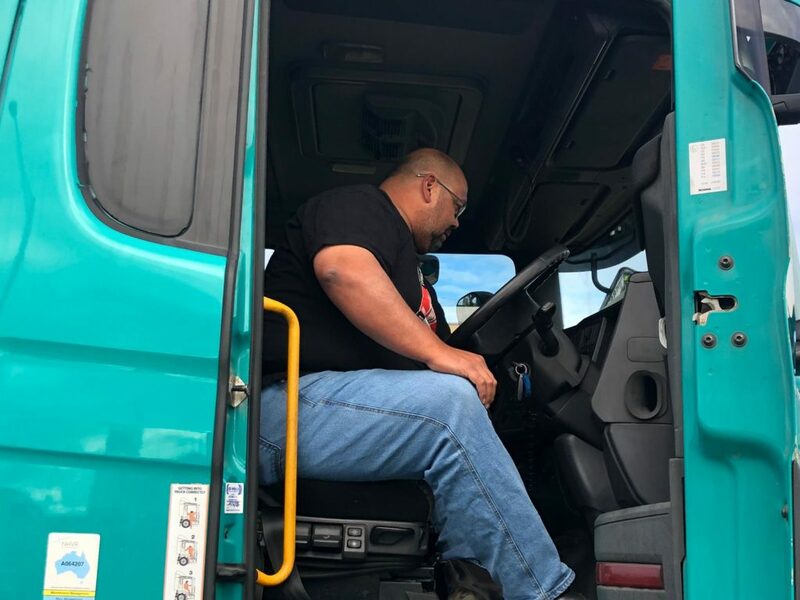 And we will never stop fighting for a better and safer industry. 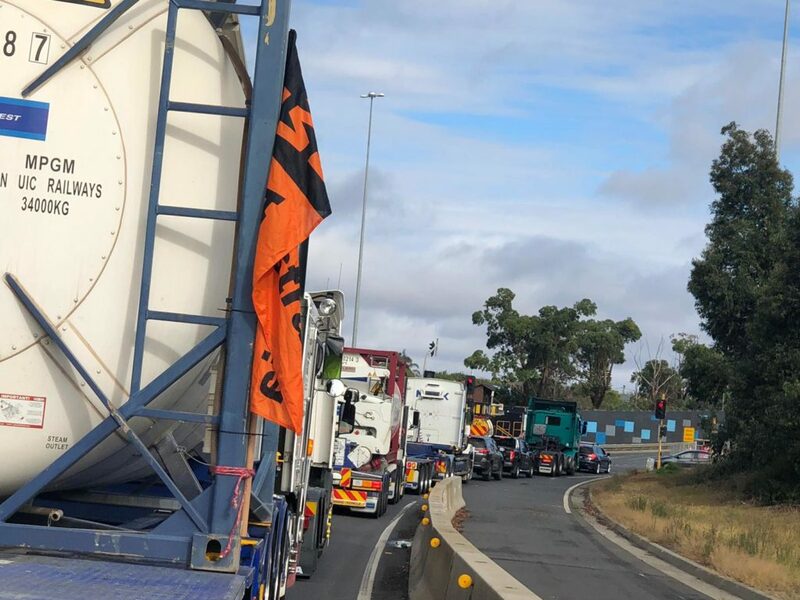 Thank you to all those who joined the convoy.